You don't have to be wealthy to invest, but you do need to invest to become wealthy. Many people don’t invest because they don’t think they have enough. It is never too late to start investing and no amounts are too small. Long term investing of small amounts combined with good compound returns will successfully build wealth. It is just as important for people of all ages and financial capacities to have a solid financial investment plan to help secure their financial future. Everyone should work with an investment professional to develop a plan that is right for them and has been specifically tailored to their unique situation. In order to understand your goals, we need to know your current financial situation. From there we work with you to develop goals that will help you achieve your dream financial future. Am I saving for a deposit on a house? Am I building a nest-egg for retirement? Am I aiming to preserve the real value of our capital over my retirement? Do I want to maximise my retirement income? Clearly articulated goals will give you the focus required to make investment decisions. Continuing to maintain these goals as your situation changes throughout your financial journey is crucial to your long-term financial plan. It is important to realise that as your portfolio grows your needs will change, and with this comes minor adjustments and modifications to your investment strategy. We help you to grow and adapt your investment strategy as your wealth grows to ensure you are always on track to achieving your financial goals. We also offer specialised investment strategies for business owners that address their specific needs not normally provided for in traditional investment strategies. This specialised strategy will provide an intelligent financial roadmap for your business and personal portfolio and ensure long-term financial success. What is the difference between speculating, investing and saving? Speculating is NOT something that My Wealth Solutions can advise on. Speculating is buying an asset in the hope that the value of the asset will increase. The timeframe of this could be anything from a couple of days to several years. Saving is putting money aside for a finite time that will eventually be withdrawn and spent on a particular goal. Investing is buying an asset to enjoy the income from that asset. Providing it is a good investment, the income and asset value will grow. How can dollar cost averaging help grow my wealth? For those with large amounts of cash to be invested, it can be less stressful to place these investments over a period of time. This means your team of financial advisors will never invest your total lump sum at a market high but will rather receive an average over a period of time. By enlisting the resources of a team of professionals to make the many and sometimes complicated decisions involved in investing, you’ll have a far greater chance of financial success than if you did it yourself. Professionals have more time, more resources, more education and more experience in selecting and managing investments. These decisions are best made based on deep research, not whims, tips or hunches or half-baked attempts at research. Property and shares are two of the most common investment types we have helped clients with. Both investment types have pros and cons and can benefit your investment strategy in different ways. That’s why your investment advisor will create an investment plan that is tailored to your unique financial situation as part of our holistic approach. For more information about what’s involved in investing in property or shares, click on the links at the bottom of the page for a comprehensive overview. How is My Wealth Solutions' investment strategy different? 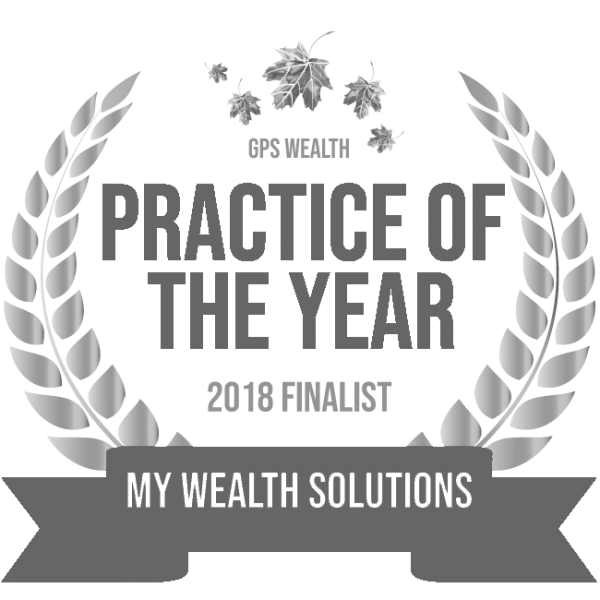 My Wealth Solutions has been offering investment advice in Brisbane and the surrounding areas for a number of years. Throughout our meetings, we will provide you further details about our C.A.R.E. Investment process. Over the long-term, shares will generally perform better than any other passive investment. They fluctuate in value. That is to say shares can go down in the short term. This is perfectly normal and if you own shares they will go down in value from time to time. However, when held for the long run and if appropriately diversified, they will deliver outstanding returns. Timing of the share market is largely a futile exercise. No one can predict the short-term movements of the share market, although many will try. To correctly time the market, you have to make two correct decisions: when to get out and when to get back in again. It is hard enough to make one of these correctly, let alone two on a regular basis! Long-term investments will deliver good returns to investors that make timing of the markets unnecessary. Market timing has costs (brokerage and taxes) and creates a short-term focus rather than the long-term achievement of our goals. Deciding on whether an investment property is the right investment option for you can be more challenging than you’d first expect. Make it easier with the help of your dedicated team of investment advisors. Investing in shares may not be as unachievable as you think. Learn more about how shares can work in combination with property to create your dream financial future. Need clarity and direction in your investment decisions? Our team of experienced investment advisors are here to help, every step of the way. Making growing your wealth simple.